Shhh! Don’t make a sound… there’s a fox in the neighbourhood! Would you recognise a fox if you saw one? Could you identify its footprint? Do you know what its den looks like? Look inside this book to discover the exciting world of the fox, captured in striking close-up camera snaps. From urban wastelands to open farmland, explore the different habitats that serve as the fox’s home. Follow the fox’s life cycle, from a cub’s first steps to finding a mate. Find out about some of the threats facing foxes today, and why some people see them as pests. 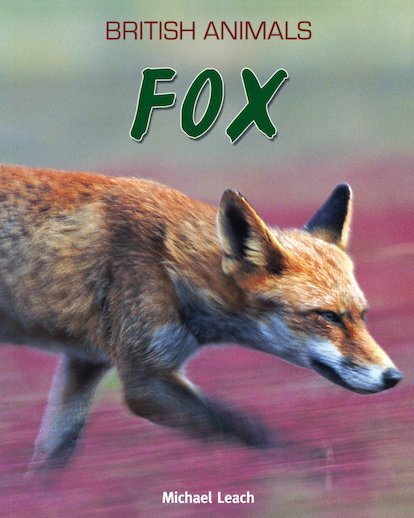 A memorable and beautiful introduction to one of Britain’s typical animals, which includes tracking clues for young fox-spotters.